It’s Valentine’s Day tomorrow, and I know there are some of us out there still searching for the perfect little trinket, or huge gesture for their loved ones. 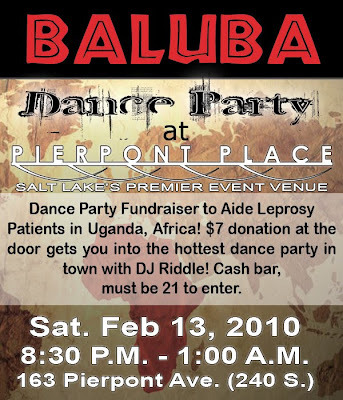 Pierpont Place is taking another route and spending tonight, Saturday February 13th, helping to support a group of high school age girls who are spending their vacation traveling to Baluba, Uganda in Africa to help provide medical aide to patients suffering from leprosy. That’s a gift of unimaginable magnitude. Photos! With booths, cameras, and computers!